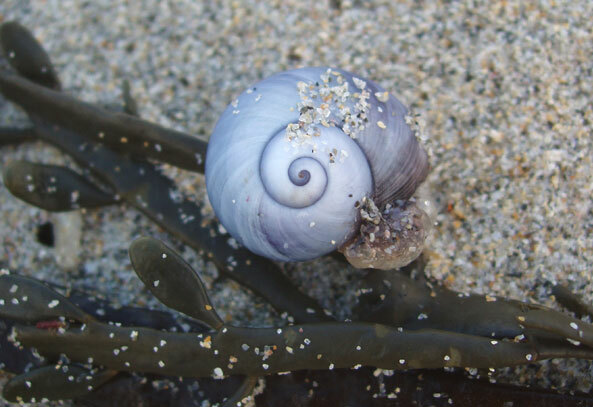 A scour of the strandline between Sennen and Gwenver on the west coast of Cornwall near Land's End discovered about fifty Violet Sea Snails, Janthina, seven dead Triggerfish, Balistes capriscus. and one Gulfweed Crab, Planes minutus, on a polystyrene float covered with Goose Barnacles, and two Skate egg cases. Chinese Mitten Crabs, Eriocheir sinensis, have been confirmed as by-catch from white fish fisheries in the Dee estuary, north-west Wales. 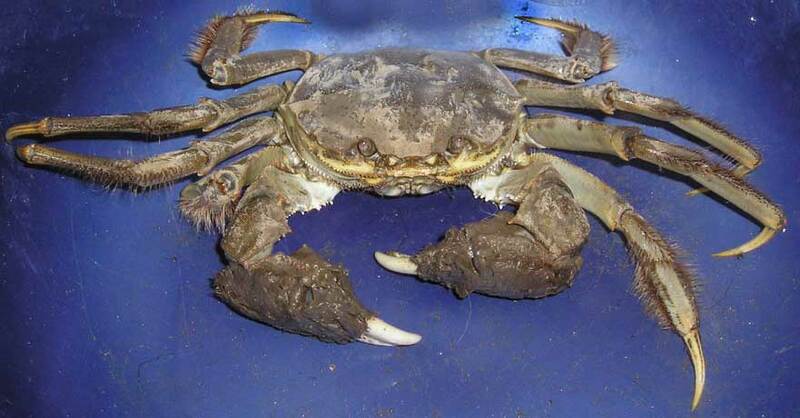 The alien Mitten Crabs were probably accidentally introduced in ballast water and have become established in the Thames and adjoining rivers and in the Mersey estuary. 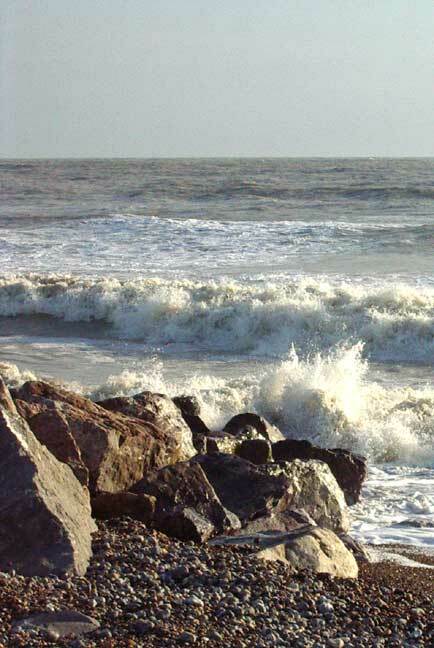 They cause a huge amount of damage to the tidal and lower freshwater sections of rivers as they burrow into riverbanks causing them to collapse and silt up. 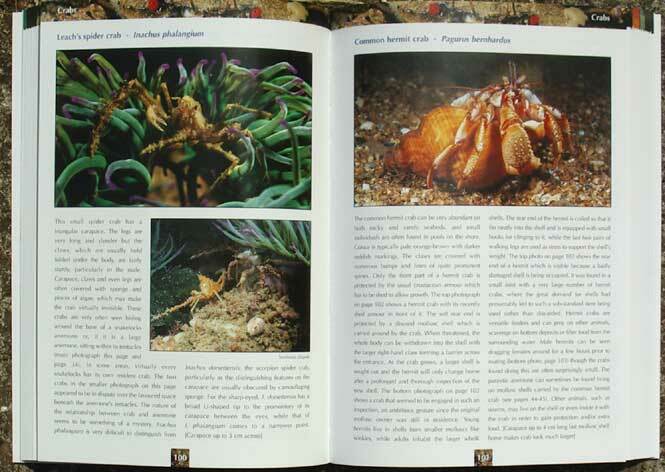 Further pressure is also put on our wildlife as these crabs out compete native species. These crabs must spend the juvenile part of their life cycle in freshwater but must return to the sea to breed. Two deep water sea stars were recorded and collected by a ROV submersible, the first a beige species with short arms (like a cushion star) from a depth of around 250 metres off west Norway, and the second similar one from a depth of 600 metres in a Norwegian fjord at an earlier date. Neither of these species have been positively identified at time of writing. 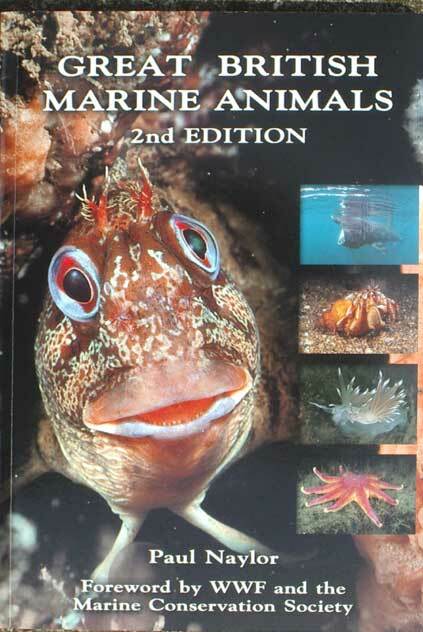 The species are suggested as Peltaster placenta and Diplopteraster multipes. 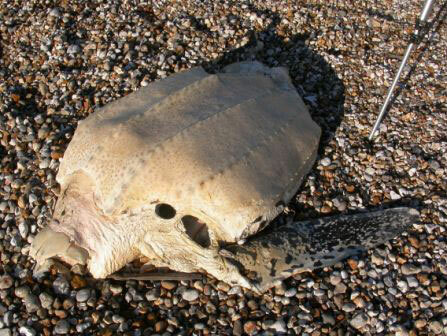 A large 20 kg Ocean Sunfish, Mola mola, was washed up dead on the north Kent coast. The height of this round fish was measured at 98 cm (including the fins). Sunfish are frequently found stranded on the western and southern coasts of Britain, but much less often on North Sea coasts. A surprising discovery of an Ocean Sunfish, Mola mola, from the Baltic coast of southern Sweden, means this fish must have navigated through the narrow parts of the Kattegat. It was a smallish specimen with a total length of 60 cm. 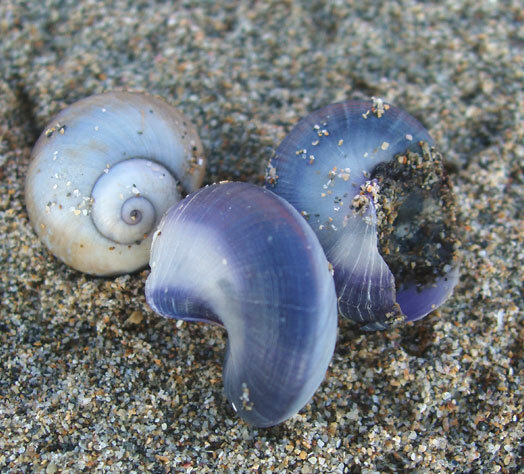 The prevailing winds of autumn and the recent gales have washed more unusual pelagic animals on to the shore (with the millions of By-the-wind Sailors, Velella velella, and multiple thousands of Goose Barnacles, Lepas anatifera) notably the small (size of a 10 pence piece) pelagic Columbus Crabs, Planes minutus, with five discovered on the Dorset coast at Southbourne (near Bournemouth) and a further 15 at Hengistbury Head, Dorset. The latter was discovered inside a large shipworm-riddled, Teredo, pole in cavities created by the tiny burrowing mollusc. The Columbus Crabs were found with the Goose Barnacles and there are clues that the buoys, wooden pallets, fish boxes etc. have been floating around the Atlantic Ocean for two years or more and are American in origin. 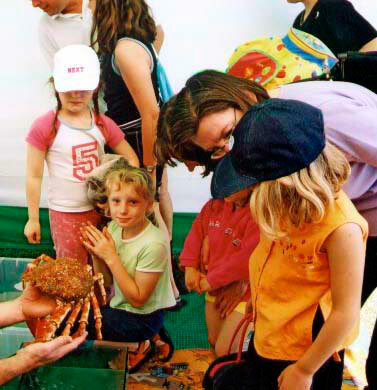 The live crabs were placed in the aquarium at the Foundation Marine Centre at Kimmeridge. 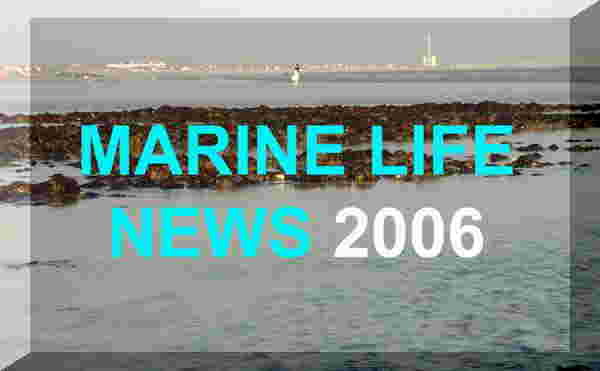 Another probable Columbus Crab, Planes minutus, was discovered by crab potter Chris Marquis near Herm and Sark in the Channel Islands amongst a tray of Goose Barnacles. 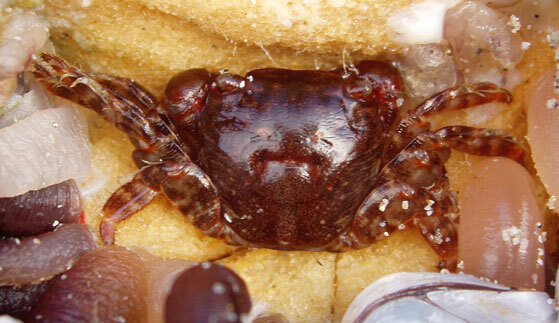 Planes minutus is also called theGulf-weed Crab because the largest population of this abundant crab is believed to inhabit the open Atlantic Ocean area known as the Sargasso Sea. My dog discovered a strange fish partially buried on the North Gare Sands, Hartlepool, (near the power station) part of the Teesmouth National Nature Reserve; the fish was one metre long, 30 cms wide and laterally very thin with a tapering tail. I have identified this fish as a Deal Fish, Trachipterus arcticus. The Deal Fish is a deep sea fish which very occasionally is washed up on the shore. At least two specimens of the large pelagic swimming crab known as Henslow's Swimming Crab, Polybius henslowii, were brought in by a commercial fisherman from Poole Bay. This crab is an active predator of small fish and is usually found over deep water further south. The same weather conditions which have brought in the By-the-wind Sailors are likely to have blown this crab into the shallow bay. 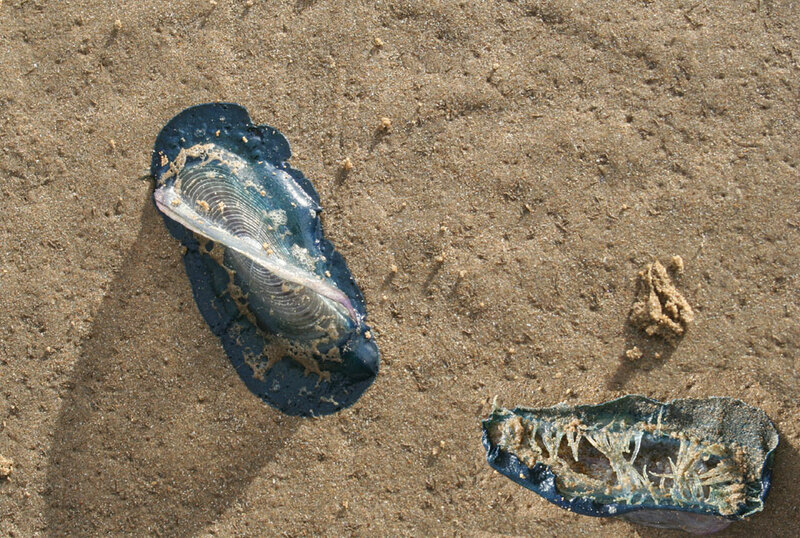 Thousands of By-the-wind Sailors, Velella velella, were washed up on Welsh beaches, notably a narrow but continuous line of Velella velella washed up on the high tide mark at Borthwen, Rhoscolyn, Anglesey (southern end of Ynys Cybi - Holy Island), north Wales (Ian Wright); literally thousands stranded on a small bay at the Mumbles, Swansea (Jess Pitman); a swarm amounting to about two hundred were washed up on Porthllysgi beach off the coast of St. Davids in south west Wales (Eleri Davies) with hundreds, possibly thousands, stranded and dead on the pebbles on the nearby Newgale Beach (Helen Lee); thousands, if not millions, of By-the-wind Sailors were washed up on a beach at Criccieth (on the southern coast of the Lleyn Peninsula), Gwynedd, north Wales (Eilir Daniels); and an armada, a thick layer of jellyfish about a metre thick on the strandline in both directions at Cefn Sidan Beach at Pembrey, south west Wales (Bella). 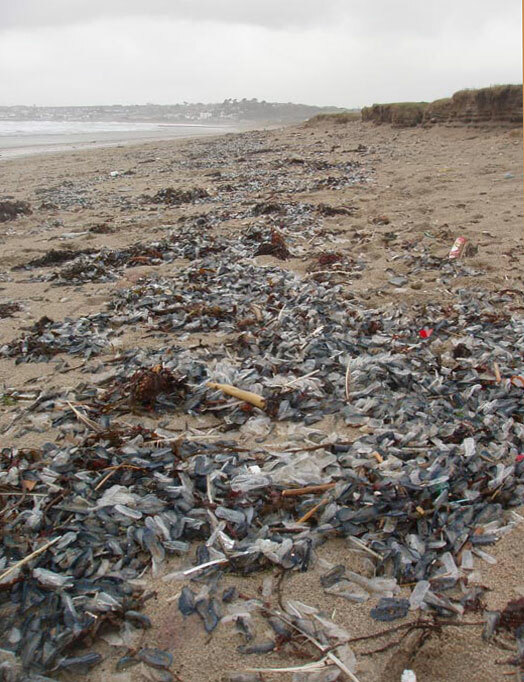 Reports of By-the-wind Sailors, Velella velella, have been received from north Devon and Guernsey. A Tadpole Fish, Raniceps raninus, was caught from Bangor Pier, Co. Down, Northern Ireland. 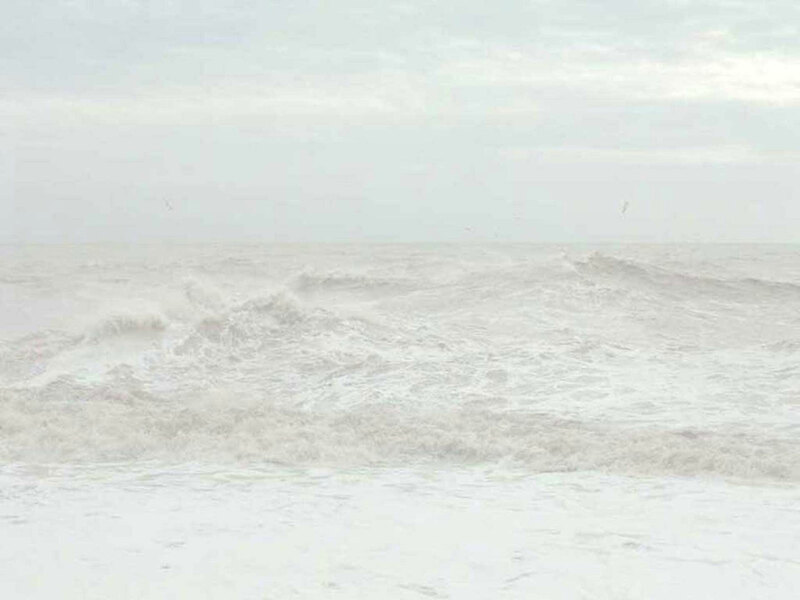 After a period of warm southerly and south-westerly winds, the weather changed. Strong colder winds came from the north-east and an easterly direction. 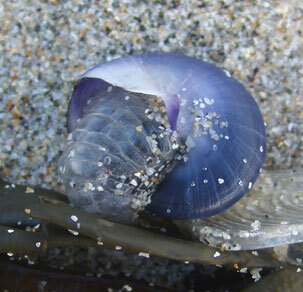 By-the-wind Sailors, Velella velella, entered St. Peter Port harbour on Guernsey's east coast, driven in by the wind. 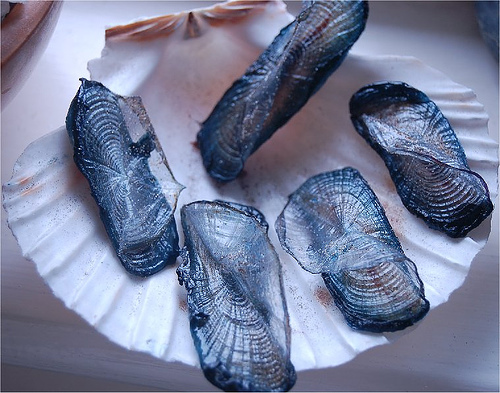 Commercial fisherman Clive Brown called to tell me that about 25 Velella velella were washed up on the shore near his dinghy in the harbour. 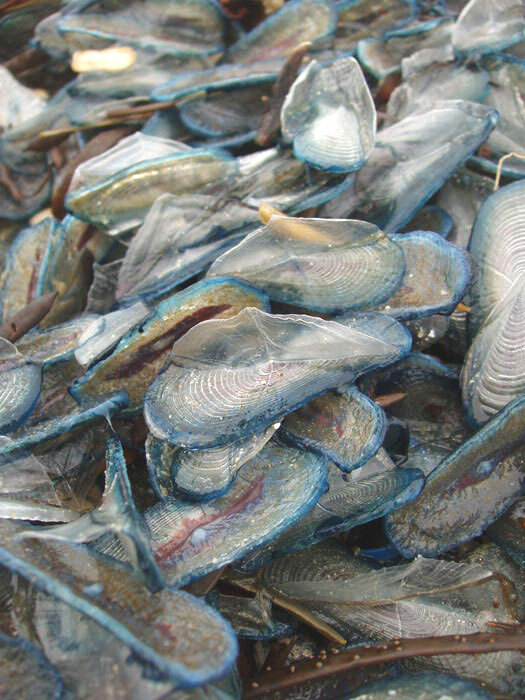 I went down to the Albert marina and I was able to collect four Velella velella by reaching out from a pontoon. With the closure of Smart Groups planned for the end of November 2006, this has presented a time consuming and rather awkward problem for me. In short, there is no easy method to save the 7500+ messages, the hundreds of files, and images and the few databases and other information from disappearing when Smart Groups actually closes. but I am afraid that a few of the messages have been lost. I do not know which ones. The images have not been transferred. 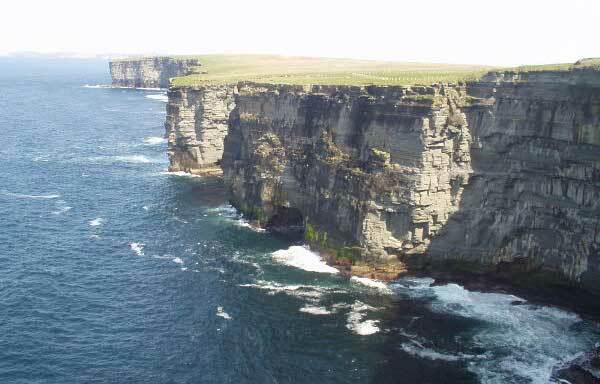 The name of the particular coast should be included and the grid reference, if known. Print photographs can be included in Exhibitions and on the BMLSS Web Sites and electronic publications. Electronic images in *.JPG format can also be considered for the web site. They should not exceed 200K in size. 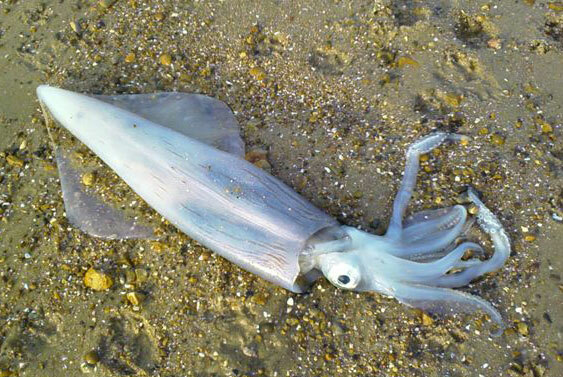 This one metre long squid was found on the beach at Chalkwell, near Southend, Essex. It is almost certainly one of the Loligo species.